Is it just me, or when the sun is shining (or not shining 6 out 7 days) it becomes increasingly tempting to buy more make up? I have gone a little crazy these past few weeks with my beauty buys but I'd be lying if I didn't say that I liked every piece I purchased. With new products being released and a need for my make up to last an 8.5 hour shift/graduation I haven't been afraid to get a few high end bits. Just a note - when you get paid weekly 'pay day treats' cost far more than they should. I need to cut down on those. The first item that started off my continual beauty haul was Estee Lauder's Double Wear foundation. I posted a review here and I'm still in love with it. I managd to get the B. Beauty foundation brush on offer and it's not doing too badly for a cheap brush. I won't lie though - I am missing my beauty blender! I also finally picked up a new liquid eye liner. 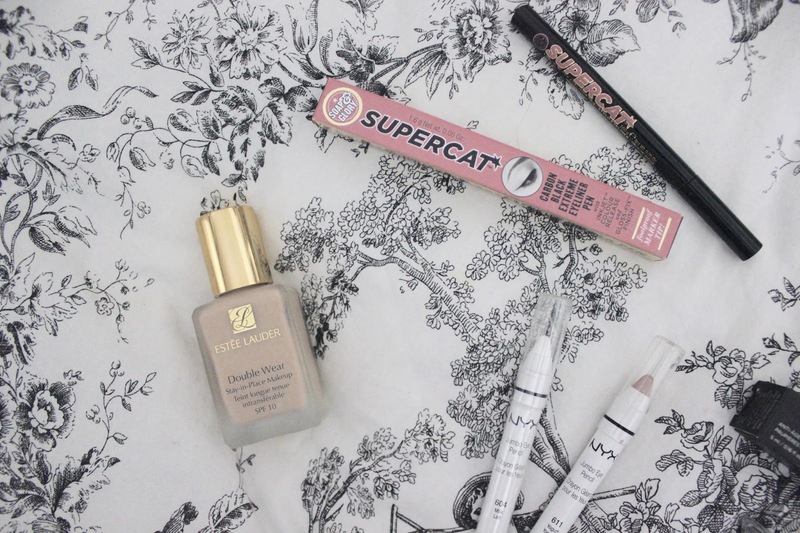 This is my second Soap and Glory Supercat eyeliner pen and I still adore it. It's really dark black, easy to apply and lasts for ages. 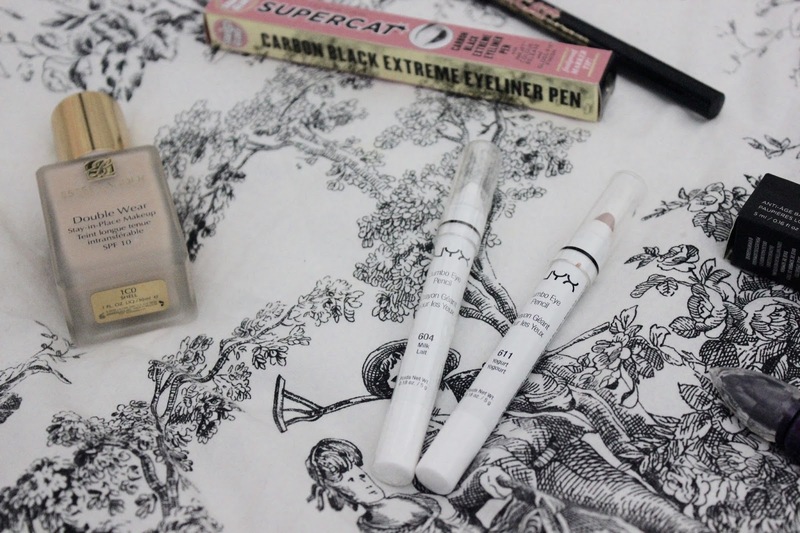 It doesn't smudge anywhere near as much as more expensive eyeliner pens I have tried and is my favourite budget buy for sure. 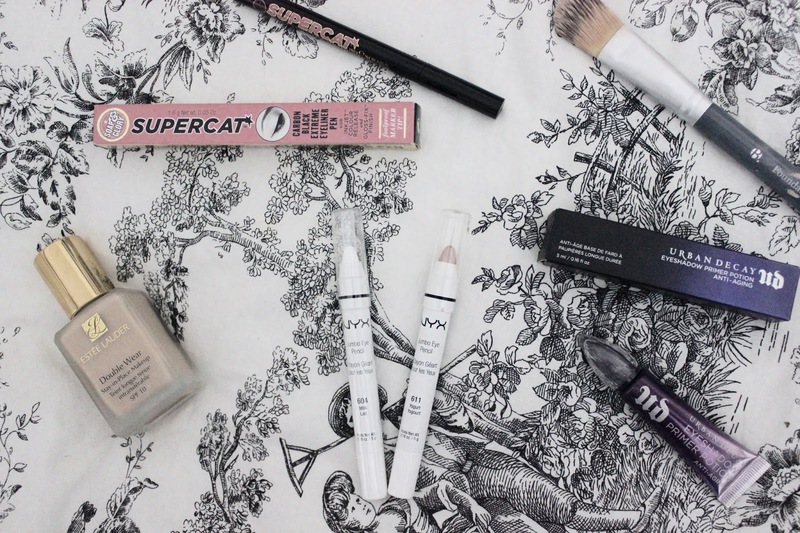 When a girl sees a NYX cosmetics stand, can one just leave and not browse just a little? I picked up a couple of the jumbo eye pencils in Milk and Yoghurt. Milk is a pure white which I intend on using as an eyeshadow base in hopes of getting more intense colours. Yoghurt is a light pinky gold and perfect for those days when you want something on your eyes but are in a bit of a rush. Neither last particularly long on my oily eyelids but they are an absolute dream to apply. 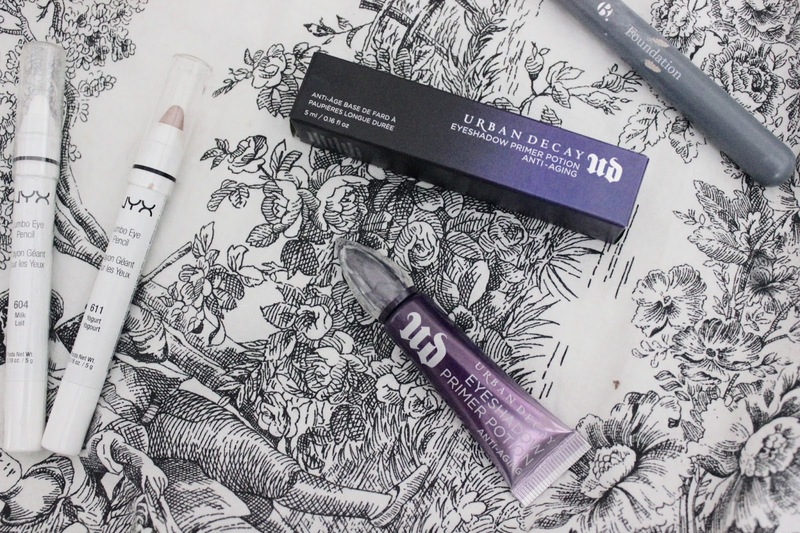 Last up is the travel size of Urban Decay's Eyeshadow Primer potion. I got the anti-aging formula because, whilst I do not have dry eyelids, the corners of my eyes get seriously dry and red. So far I have worn it every day for work and my eye make up is looking much better at the end of a shift. It just makes the eyeshadow stick like I have never seen before. I'm not bothered about spending £10 every other month if my eyeshadow is going to stay put like it does with this magical potion. Have you been treating yourself to some new beauty bits recently? Have you tried any of these? Let me know! Such a lovely haul! The NYX bits look lovely! I must try those out soon! I love them! They are so easy to use! It is such a good liner! It is such a good liner! When paired with the UD primer lotion it seriously does not budge. It's definitely worth trying (and only £5 at the moment)!